Technically, it’s the second weekend of the C-USA season, as Rice traveled to Australia last week and was de-feathered by Stanford 62-7. To make matters worse, the Owls had to forgo landing at Houston and set up shop at Texas Christian University. Fortunately, the Owls the Rice University have a week to sort out matters. Regrettably, Texas-San Antonio’s home game with the Houston Cougars has been postponed. That will be a tough rescheduling — the next open weekend for both is December 9. (Both teams have a fair shot at their league championship games, on the weekend of Dec. 2. As I did last year, I will present games involving C-USA teams, in order of interest, with my prediction against the point spread. As may remember, the Golden Eagles scored 34 unanswered points to swamp the Wildcats 44-35 last year in Lexington. The Eagles held a 295-56 advantage in total yards after the second half. Ito Smith, who has 16 100-yard games in his career, is the top returning rusher in the league (1,321 yards), while Allenzae Staggers owns five 200-yard receiving game, including a school-record 292-yard effort (on just six passes) against Rice. 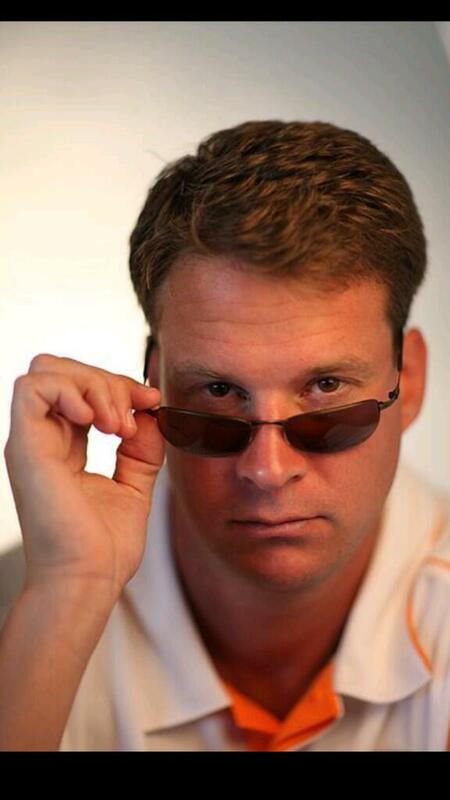 It would be just like me to pick against Kentucky, and guess what? As a double-digit favorite, that’s an easy call. Trivia: I was the last writer to leave the Legion Field pressbox after a UAB game — and I witnessed the UAB logos getting scrubbed off the field. A man from Birmingham Parks & Rec told me they were prepping for a movie shoot, but I don’t recall a stinkin’ movie since. It’s a miracle to me that coach Bill Clark and 14 players have returned from the 2014 Blazers. The roster features 16 redshirt seniors, 43 redshirt juniors, 5 juniors, 19 redshirt sophomores, 29 redshirt freshmen and 10 true freshmen. “There is going to be relief once the ball is kicked off, when that game is over we’ll be getting ready for game two,” Clark said. As a practical matter, this game is a barometer on whether the Blazers will be 130th in the nation, or if they will be better. Alabama A&M is coming off a 4-7 season, and the Blazers need to blast them off the field. Vandy won 27-24 in this neighborly semi-rivalry, but the Brent Stockstill-to-Richie James combo has grown fearsome. Stockstill threw for 399 yards in last year’s game, with James catching 14 for 183. Alas, Vandy scored on three short-field drives to lead 33-17 at halftime. In two football trips, I have been unimpressed with MTSU’s fan base, but blue should be the color of the day at Floyd Stadium. This will be a fun game. The Midshipmen get a little shore leave in Boca Raton, and have heard about the dawning of the Lane Kiffin era. The game is expected to be a near-sellout, at the least. Kiffin has a few offensive tools at his disposal, such as 1,000-yard rusher Devin Singletary and quarterback … quarterback … somebody or somebodies, I guess. They may score some points, but Navy eventually gets the ball. The Middies ran for 310 yards per game, and their triple option will send the Owls’ defense burrowing for answers. I look for Navy to rush for 450-plus. FIU returning nine starters on defense impresses more a lot more than Butch Davis being the new coach. Last year, FIU throttled Marshall in the second half of an energizing win in Miami. Davis hasn’t coached since 2010, but brought in experience coordinators Brent Guy (defense) and Rich Skrosky (offense). If a head coach brings in good people for his staff, he’s won half the battle. The Panthers beat UCF 15-14 in 2015, but those Knights were awful. These Knights are not. Did you remember EMU played in a bowl game? Did you remember Charlotte won four, including one at … never mind. In their fifth year, the 49ers may take a step down after the loss of nose tackle Larry Ogunjobi and other defenders. Hasaan Klugh is a veteran QB now, but there are questions all around him. The turnover margin last year was plus-8, which brings the question: How much was opportunistic defense and how much was luck? Guard Will Hernandez became the first Miner offensive lineman to earn All-American honors, and was named Pro Football Focus Protector of the Year among all FBS linemen. Hernandez is an AP preseason All-American selection this year, and is emblematic of Sean Kugler’s run-heavy emphasis. Line: Oklahoma by 43. UTEP … I think, I think. QB 14 Chase Litton* 6-6 223 Jr.
WR 8 Tyre Brady 6-3 206 Jr.
WR 3 Willie Johnson 6-0 171 Jr.
TE 85 Ryan Yurachek* 6-3 239 Sr.
LT 67 Sandley Jean-Felix 6-5 317 Sr.
LG 58 Jordan Dowrey* 6-1 282 Jr.
C 61 Levi Brown* 6-4 296 So. RG 76 Nate Devers* 6-3 292 Jr.
RT 71 Tarik Adams 6-3 277 Fr. DT 91 Ryan Bee* 6-7 267 Jr.
DT 54 Nyquan Harris* 6-2 307 Jr.
DE 44 Blake Keller* 6-2 240 Sr.
LB 32 Artis Johnson 6-1 211 Jr.
LB 37 Chase Hancock* 6-2 220 Jr.
CB 3 Chris Jackson* 6-0 176 So. S 1 C.J. Reavis* 6-1 215 Sr.
P 16 Kaare Vedvik* 6-4 209 Sr.
** 7 changes counting MLB, with all but Dozier on 2nd string. Here in the longest-ever college football preseason, it’s time to break the monotony with the season prediction. This is likely the only one you get out of Charleston, since our Mitch Vingle was moved from lead columnist to WVU beat writer. With the notable exception of last year, Vingle was perennially more accurate on Marshall predictions than he was on the Mountaineers. Now, it’s on me. The first thing you need to know: Some of this is not going to make sense. Many things in life — and college football — do not make sense, so why should this? There will be several irrational gut hunches thrown into this 12-game schedule. Last year, the RedHawks served as a reminder that college football seasons are long and teams can be very different at the end. They started 0-6, kept the faith and won the next six before falling to Mississippi State in a close bowl game. They left the season in VERY good shape. They can win the Mid-American Conference. As mentioned, Herd fans are making a huge emotional investment in this game, and why shouldn’t they? (a) It’s time to forget 3-9, (b) losing to MAC teams is unacceptable, (c) losing to Miami is unacceptable and (d) if the Herd wants to show it can compete in Conference USA, it needs to win this game. The first big question is this: Who is the better QB in this game, Gus Ragland or Chase Litton? Ragland took over the starting spot in Game 7 last year and three for 1,537 yards with 17 touchdowns and ONE interception. The second big question is this: Can the Herd, with its newer cast of characters, cope with Miami’s experience? The RedHawks return 17 starters. My fear: The suspension of MLB Juwon Young is going to hurt in this game more than any. This RedHawk team is picked barely below Ohio in the MAC East. No need to get scientific on this one: Herd sports info guy Jason’s Corriher’s alma mater is fielding a football team this year. The Wolfpack is going to be good. How good can you be when you’re stuck in the ACC’s Whatever Division with Florida State, Clemson and Louisville? Plenty good! Especially since the Pack avoids Miami and Virginia Tech in cross-division play. Carter-Finley Stadium is not partially named after Ryan Finley, but the junior is plenty competent — 3,059 yards, 18 TDs, 8 picks last year. His ability is not as much questioned as his comparison to Pack greats Phillip Rivers, Russell Wilson, Mike Glennon and Jacoby Brissett. The Wolfpack brings one of its better defensive lines. MU’s secondary needs its roller skates for this one. The offensive line needs Popeye’s spinach. At 0-2, the wailing among the Herd faithful is hitting near full volume. Something positive has to happen with this Herd team. That positive will come in the form of the Golden Flashes. Paul Haynes is in his 5th season in northeast Ohio and he has a 12-35 record to show for it — and a last-place pick in the MAC media poll. To make matters worse, the Flashes had a death in a June workout, and it was discovered strength coach Ross Bowsher falsified his credentials. Former running back Nick Holley was pressed into QB duty and has been there since. He’ll need his wheels against an angry Herd defense. Herd fans will find a much-improved Nippert Stadium, but the home team fell on unexpectedly hard times last year. After a 4-8 season, Tommy Tuberville is out and Luke Fickell is in. The former Ohio State star seems to be a solid hire who will return the Bearcats to American Athletic Conference contention, but how quickly can this team turn it around? The most pressing question comes at QB: Who will start, Hayden Moore or Ross Trail? My guess: The Bearcats can contend in the AAC after struggling in September. Watch the September 16 game at Miami, when the Victory Bell is in jeopardy of heading north for the first time in 11 years. Two weeks later, the Herd will rise up and compound matters with a big defensive effort and, dare we say it, a late field goal. Kaare Vedvik, it’s all on you. With the season suddenly perked up, it’s time for the Herd to avenge an embarrassing loss. I like Hasaan Klugh at QB, but the 49ers’ defense is going to have a hard time not taking a step back. The Herd will have two 100-yard rushers, Litton will throw for a few touchdowns and the Herd will pull even in its North Carolina swing. The Monarchs made a mockery of the preseason prognostications that had them sixth place in the East. The world, me included, is pretty sure they don’t take a major step back. Ray Lawry returns in the backfield, running behind a veteran line with 77 career starts. The defense returns my two favorite names, defensive end Bunmi Rotimi and “stud” end Oshane Ximines. To look at this, the Monarchs might finish close to their breakthrough 10-3 of last year. But I don’t know about their QB situation. Sophomore Blake LaRussa, a former walk-on, is the man whom is reported to be a near-lock to start. (I steadfastly maintain QBs should never walk on at a major-college program.) There are three backups, but all are very, very green. Lawry gets his 150 in this game; that’s for certain. But the Herd will have a much, much better offensive day than it had last year in Norfolk, and this team usually plays well on homecoming — MU even won that game last year! The Herd received a reprieve from Brent Stockstill and pounded the Blue Raiders 42-14 last year. He was injured, but let’s not minimize that the 28-0 second half was Marshall’s best performance of the season by far by far by far. MTSU receiver Richie James had 12 catches for 122 yards, but that was inconsequential. Barring injury, the Herd will get the Stockstill-James combo full-force. The Raiders aren’t necessarily defensive juggernauts, but they return all three starting linebackers and several others. But the two-game history in Murfreesboro says Marshall will hang for at least 3.998 quarters. Yeah, I see you wincing about now. I’m still not using “FIU” on first reference, and I’m still not giving QB Alex McGough a lot of respect. RB Alex Gardner? Different story. The Panthers seem to have a bright future, but they always have a bright future. But they haven’t had a bright present since T.Y. Hilton played there, and that’s why Butch Davis was brought out of coaching exile. The good feeling in Miami will have abated by late October, however. But let’s leave the morality question for another day. My question: Who will win the Owls’ game-week practice, the starters or the scout team? I bring one of my theories into play with this team: In most cases, the more a player changes schools/settings, the more he loses ability and production. I look back on 15 years of covering Marshall football and basketball, and I can’t think of many cases of rebuttal, save for the Jon Elmore Exception. Offensive coordinator Kendal Briles (coming from Baylor, no further comment) will bring an uptempo spread attack to keep defenses on their heels, but quarterback is a question. De’Andre Johnson is the conventional guess at the starter, but reports out of Boca Raton say he hasn’t separated from Jason Driskel and Daniel Parr. After botching the easiest chance at the sixth game, things slide south in a hurry. The Herd has yet to keep the Hilltoppers under 49 points, and probably won’t do it against Mike White, Nicarius Fanta, Kylen Towner and all the receivers who will magically develop from obscurity. The new all-name teamer is one: Lucky Jackson. I must recognize Dalton Sturm as another former walk-on QB who has become a starter. I still think QB is the worst position to try to walk on in major-college football. He has his top 4 receivers back and a more experienced offensive line. Defensively, the Roadrunners are split near-evenly between sophomores and underclassmen, but most are experienced. That unit wasn’t that bad last year (gave up 23 to Texas A&M, for example), and will be better this time around. Then there’s the Texas thing. Marshall beat the “hex” in 2012 at Rice, but stunk up the atmosphere in the second half last year at North Texas. That was one of the most painful losses, and this game will sting just as much. Things are painful in Herd-land about now. The team has slipped from 5-3 to 5-6, and Southern Miss is embroiled in a three-team race for the West Division title. Just to thicken the plot, UTSA and Louisiana Tech battle on the same day. There is much to like about these Golden Eagles, particularly running back Ito Smith and wide receiver Allenzae Staggers. Defensively, they’ll have trouble improving on their 325 total yards per game performance. In light of how the Herd finished the 2016 season, this is a major character check. MU could be a double-digit home doggie in this one. For some reason, the 2011 swim-or-drown game against East Carolina comes to mind. Aaron Dobson isn’t here to reenact his one-handed, back-handed catch, but the Herd does have a corps of receivers that can pull out a game or two. The Herd will go to a bowl game and win, because that’s what this program does. That brings the season to a 7-6 close, which may or may not silence the wolves. The predicted record may be a copout, but the road to get there is almost goofy. Then again, consult the 2011 season for a parallel. Position roundup: Which ones have improved? After 2 1/2 weeks — the public session, in other words — here is my semi-educated observation on each position group. These all assume the team hit some level of bottom at all positions by the end of the season because, ahem, it was like that. The installation of Todd Goebbel as QB coach may be head coach Doc Holliday’s best move of the offseason. Goebbel’s knowledge and positive influence should rub off on Chase Litton. Let’s just see how well Litton reads and throws on target. The Herd will be in better shape if Litton goes down. If Gaines has to go in, look for the Herd to actually run an offense put a lot of confidence in him and tailor the strategy to fit his talents. Isaiah Green isn’t shabby, either. Trey Rodriguez is the real deal, at least in relation to last year’s committee. Tyler King was impressive before his recent injury, and Keion Davis has been running as if his job depends on it, because it does. Not sure if Anthony Anderson can re-enter the picture, but handicapping a Herd RB rotation is a hazardous exercise. So Michael Clark caught a touchdown pass for the Packers recently. Go ahead and name the quarterback on that play. I like Tyre Brady. I like Marcel Williams a lot. Need to see more out of Darian Owens. Willie Johnson is fast. Hyleck Foster is catching the ball, much unlike his early career. Nick Mathews is slick and should be ready, if not now than later in the season. And these guys actually separate from defenders, I believe. Can’t get anything but better. TIGHT END: Was good to begin with. Will Ryan Yurachek get more than 28 catches this year? That was a travesty. If that figure doubles, I think you’ll like the result. This unit was gassed, decimated and beat up by the time it took the field against Western Kentucky, so things had to improve. The returning quintet — four current starters and A.J. Addison — were healthy and got through the spring and summer in good shape. At times, the first unit has been very good, but that begs, the question: How good is the defensive front? The second O-line is awfully young, save for Addison. One or two of these redshirt freshmen, in addition to starting RT Tarik Adams, will be called upon to deliver a critical midseason effort. Maybe I need to look closer this coming week, but nothing jumps out from the front four. If you remember, run defense was brutally bad a year ago. Juwon Young’s September absence will hurt, no two ways about it. If you see the Herd start 1-3 and then go 6-2 in conference play, you may see a correlation. But Artis Johnson is a fine addition, Chase Hancock may be physically ready to stand out and then there is the wild card … yes, JaQuan Yulee. This unit may be very, very good by mid-October. You can do worse than C.J. Reavis, Brandon Drayton, Kendall Gant and Malik Gant at the safety positions. Reavis, the veteran, and the youngster Drayton were paired late last week, and they look solid. At the corners, last year’s top three are back — Rodney Allen, Chris Jackson and Jaylon McClain-Sapp, all a year older. Allen and Jackson are a year wiser, but I’m not sure about McClain-Sapp. He has been penalty-prone (again) this month. Kereon Merrell may be up to speed by midseason, as jucos can be. Kaare Vedvik could be the FG/punt man, and he has really come on as the former. The Herd has lost two games on failed field goals in the last two years, and needs to steal one this year. So far, this is your man. SPECIAL TEAMS, IN GENERAL: Better. With Willie Johnson back for kickoff returns and Trey Rodriguez available in both return disciplines, the Herd could once again win after a morale-boosting long runback. The infusion of athletes will restore coverage, which turned disastrous late in the season. With that, I’ll spend the next week or so trying to figure out how this team will do. Brace yourselves accordingly. Here for the 6 p.m. scrimmage and last public practice of the month. I won’t blog in this format after today. And no, you’re not getting a PxP of today’s festivities. First off, Cole Phillips is getting his first kicks I have seen (I was not here Friday). Hit from 53, despite getting under the ball too much. Looking a little like my golf shots, though not as dramatic. From 55 … one badly hit, another pulled left but long enough. We’re agreeing that he needs to concentrate on shorter kicks for now. Remember, he was out for several days. First defense about the same, though Drayton and Kendall Gant are the safeties. … On offense, Hyleck Foster on outside, Marcel Williams in slot, Tyre Brady as usual at X. … Appears Nick Mathews is sidelined tonight. Not much action from the ones today — waiting to hear the “we know what he can do” line — so the twos and two-pluses are getting a lot of work. That includes QBs Xavier Gaines and Isaiah Green. So far the best offensive play has been Litton-to-Brady for 19 yards. Several sacks on the reserve units. I am reminded Ryan Bee is also out today. There hasn’t been a turnover today, but two close calls — Rodney Allen dropped a pick and Knox just recovered his fumble. First off, I will not be in Huntington on Friday. Back with you at 6 p.m. for public scrimmage. After that, the blog will take a different direction. Notice elsewhere in this blog section, I am compiling the list of what national outlets think of the Herd and its opponents. First thing I noticed here at the stadium: K Cole Phillips is back. WR Obi Obialo is still sidelined, and RB Keion Davis is out. I don’t hate rugby punts, but I often teeter in that direction. There is a representative from 1.5 NFL teams — the Titans and Browns. They’re yukking it up with MU strength coach Luke Day. If you’ve missed it, Andy Staples of Sports Illustrated has compiled 25 best college-town meals: Go check out No. 10. JaQuan Yulee has shown up, rejecting a Xavier Gaines pass in the backfield and later tagging Gaines for a safety. … C.J. Reavis and Brandon Drayton have been paired at safety today. … Omission from recent days: LB Donyae Moody has been out. … CB Jaylon McClain-Sapp is the third-best corner on the team when he doesn’t commit a stupid penalty. … Continued mixing and matching among the top WRs. Nick Mathews and Marcel Williams have been splitting slot on “ones.” Remember, Williams is an inside-outside guy. And about the minute I typed that, Chase Litton hits Williams for a long gain. Encouraging. Didn’t I once wrote about Hyleck Foster making a big catch? Did it again, wrestling the ball away from Chris Jackson. Nicely done. CBS Sports: Herd 94, N.C. State 23, WKU 66, MTSU 67, Miami-O 78, Southern Miss 84, UTSA 88, Cincinnati 89, Old Dominion 91, FAU 95, FIU 116, Kent State 121, Charlotte 125. Orlando Sentinel: Herd 89, N.C. State 38, WKU 43, Old Dominion 64, Miami-O 69, MTSU 73, Southern Miss 81, UTSA 83, FIU 91, FAU 106, Cincinnati 118, Kent State 122, Charlotte 126. Phil Steele: EAST: 1. WKU; 2. Herd, MTSU, Old Dominion; 5. FAU; 6. FIU; 7. Charlotte. WEST: 1. La Tech; 2. UTSA; 3. Southern Miss; 4. Rice; 5. North Texas; 6. UTEP; 7. UAB. Herd bowl projection: Cure Bowl (subbing for American spot) vs. South Alabama. ESPN Power Ratings: Herd 99, N.C. State 22, Western Kentucky 80, Miami-O 81, Cincinnati 89, MTSU 90, Old Dominion 94, UTSA 96, Southern Miss 100, FAU 105, Kent State 115, FIU 124, Charlotte 129. USA Today: East — 1. Western Kentucky; 2. Old Dominion/Middle Tennessee; 4. Marshall (6-6, 4-4); 5. FAU; 6. FIU, Charlotte. West — 1. Louisiana Tech/Southern Miss; 3. UTSA; 4. North Texas; 5. Rice; 6. UTEP; 7. UAB. Washington Post: Marshall 4th behind WKU, MTSU, ODU in C-USA East. Athlon 1-130: Herd 107. Opponents: Kent State 127, Charlotte 126, FIU 113, FAU 98, Cincinnati 95, UTSA 94, Southern Miss 93, ODU 90, Miami (Ohio) 78, MTSU 75, WKU 73, N.C. State 27. Athlon’s C-USA: Herd T-4. I believe I see Mr. Darian Owens in drills … may have missed him yesterday, but it looks like only Obi Obialo and walk-on Stone Scarcelle are not with us today. … I don’t know for sure about Scarcelle’s status, but I’m not optimistic there. If you haven’t heard it, Western Kentucky suspended a few for the season opener against Eastern Kentucky, including Quinton Baker. Whoo, whoo! Great ball of the day: Isaiah Green fires to Gator Green on the back line for a touchdown … nice. … and a few minutes later another Green-to-Green throw. Not bad. … If you’re wondering, Anthony Anderson has been running “threes” since he returned to full go. Combo we haven’t seen at safety: C.J. Reavis and Brandon Drayton. … On cue, Drayton breaks up a pretty good throw from Chase Litton to Ryan Yurachek … Here in the late team drills, there is a lot of unit shuffling. We certainly haven’t seen Chase Hampton, Frankie Hernandez and JaQuan Yulee together at LB, for example. Hello Herd fans, we are heading into another week of camp. This is the final public week, so this is the time to come out if you’re in the area. Not a lot of team drills. More individual stuff and 7-on-7. We watch practice from our second home, the MU pressbox. From here, the stadium rim on the far side gives a very good perspective on punts and their hang time. It’s simple: If a punt rises about the rim from where we sit, it’s a good one. If it rises above the rim, very good. If it rises above the indoor center … that’s a little tough. Coolest day of camp so far. Very overcast, almost foggy, storms missing us to the south, 71 degrees. A little football weather, if the rain holds off. Jaylon McClain-Sapp scores a “pick-six” after a pass from Isaiah Green slips through Monterio Hunt’s hands. Welcome to college football, Monterio. Tyre Brady is back today, getting work on both sides, with Hyleck Foster, Willie Johnson and Marcel Williams rotating in on the first unit. Hunt even took a turn or 2 on the first unit. Kaare Vedvik just nailed four field goals (from 30 to 35) in an impromptu live session. Made it look easy. Amareto Curraj takes a few shots from the same range, misses one left. Vedvik from 40 good, good, now 47 … good. And the play of the day so far is a simple Chase Litton-to-Ryan Yurachek for about 30 … Yurachek is one of those I don’t write much about, because, hey, he’s entrenched. And rightly so. Looking at the punting drills … I’m not going to anoint Shane McDonough the starter, but he appears to be competent. But Herd fans should be excited about the other end of those punts … Give me Hyleck Foster, Trey Rodriguez and Willie Johnson, and I’ll take my chances. It’s tough to imagine special teams not improving. Speaking of kickers, Cole Phillips has been sidelined the past day or two. … Good to see Anthony Anderson back in full uniform. His fate in a more crowded RB room is an interesting story. Remember when he was The Next Big Thing? Stay tuned. Seeing Chase Hancock back at full go today. The first-string LBs have been Hancock, Juwon Young and Artis Johnson much of this camp. Marcel Williams getting another full dose of “one” reps, both at “X” and slot … Tyre Brady is again dressed and doing individual drills, etc., but has been held out of contact for a few days. Tough injury to receiver Stone Scarcelle, who landed awkwardly on his arm during a reception. From my experience in watching those injuries, I am not optimistic on his quick return. Update on Yulee: He has been playing on both second- and third-string units, getting a lot of snaps. I’m starting to see him around the ball a little more. Probable play of day: Chase Litton hitting Hyleck Foster on a long TD pass. Time to have a chat with Foster for tonight’s paper.